Behind those super hip red glasses is a woman we should all respect – Victoria Wise. At 27 years old, Victoria was the first chef at Chez Panisse in Berkeley. A former philosophy grad student at Berkeley, her cooking education was mostly trial by fire. The first dinner she cooked was Duck with Olives. She sourced the duck from Chinatown, made the stock, sauce, everything from scratch. One of the big lessons she learned that night – you can’t take a recipe for 12 and multiply it by 20 and expect it to turn out. It was, in her words, “Very Tomato-y”. 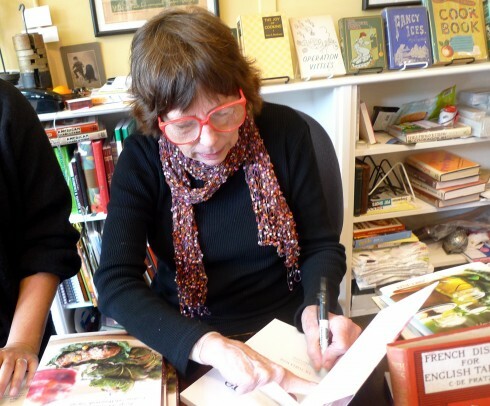 Since writing ‘American Charcuterie’, she has gone on to write over a dozen more cookbooks, including ‘Good & Plenty: America’s New Home Cooking’, ‘The Well-Filled Tortilla Cookbook’ , ‘Foods Of The World: Mexico’, ‘The Vegetarian Table: Mexico’, ‘The Well-Filled Microwave Cookbook’, ‘The Vegetarian Table: Japan’, ‘The Pressure Cooker Gourmet’, ‘Stories and Recipes from the Robert Mondavi Kitchen’, ‘The Armenian Table’, ‘The Olive and The Caper: Recipes’, and ‘Gastronomy, and Lore of Greek Cooking and The Gardeners’ Community Cookbook’. 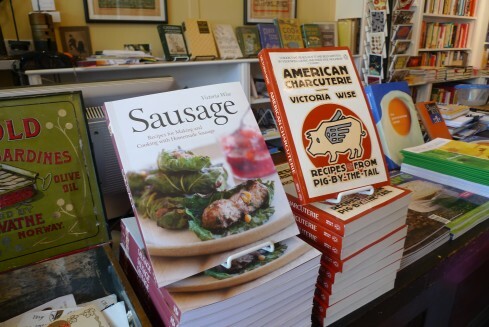 Her newest book, ‘Sausage’ came out just last month, and she has another book, ‘Bold Food’ on the docket. As you can see, the breadth of her work is pretty incredible. Victoria’s goal in life is to “convince people that they really can cook.” Her cookbooks are approachable, filled with great recipes, but importantly great stories. Cookbooks are so much more than recipes – a good cookbook creates the context for good eating. Victoria loves writing about food as much as she loves eating, and confided unabashedly that she thinks about food all the time. That’s a woman I admire. Wonder if she is still drinking up all the wine?